At LVHN’s Center for Orthopedic Medicine, our surgeons believe you were born with the best joints you’ll ever have. That’s why our fellowship-trained surgeons will use the latest therapies — from nutritional counseling to steroid injections — to help you extend the life of your natural joints. If your natural joints have completely worn out, total joint replacement surgery can restore comfort, mobility and quality of life. We’ll have you out of bed and on your feet within hours of your surgery, and back home within days. Many people are surprised and delighted by their swift recovery, and especially when they are able to do activities they haven’t been able to do in years. For questions about orthopedic surgery, call 610-402-CARE. You wake each morning in pain. Joint pain keeps you awake at night. You can’t perform daily activities because of your pain. Pain makes it difficult or impossible to work or do the activities you love. During a total joint replacement, your orthopedic surgeon will remove part or all of your damaged joint and replace it with a new one, restoring comfort and mobility. Before the surgery, you’ll be given anesthesia so you won’t feel the pain. Depending on the joint being replaced, your surgery might last two hours or fewer. After surgery, you’ll be moved to a special recovery room until the anesthesia wears off. Then you’ll be moved to a room where you’ll stay for a few days for the rest of your recovery. If you underwent hip or knee surgery, your care team will have you out of bed and walking the same day as the surgery. You’ll undergo physical therapy to gently strengthen the muscles around your new joint and help you regain mobility. For more information on joint replacement surgery, read a Q&A with two of our experts. Eric Lebby, MD, our chief of orthopedic surgery, specializes in joint replacements and revisions, which really means he specializes in giving patients their lives back. 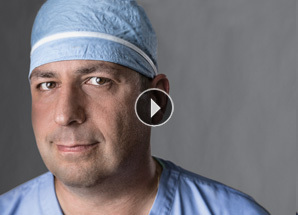 He and his team of 45 fellowship-trained orthopedic surgeons have performed more than 20,000 joint replacements. Prodromos Ververeli, MD, is one of the leading orthopedic surgeons in the region, performing more than 600 joint replacements a year. He speaks to how gratifying it is to see patients who were in wheelchairs before surgery, able to walk unaided after knee or hip replacement. It may give you peace of mind to know that no one in the region performs more orthopedic surgeries than Lehigh Valley Health Network. Our surgeons specialize in the conditions they treat. 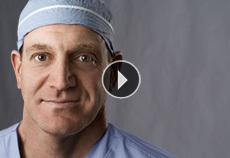 Our knee surgeons specialize in knees. Our hip surgeons do the same with hips. The Center for Orthopedic Medicine has received top honors from U.S. News & World Report, the Independence Blue Cross and Blue Shield Association as well as Aetna. You’re in good hands. No matter which Center for Orthopedic Medicine location you choose to receive care, it’s our goal to help you recover quickly and comfortably. Your dedicated care team will have you back on your feet within hours, and you’ll be back home within days. For you convenience, you can fill any needed prescriptions on your way out the door. Many patients recover from surgery feeling better than they have in years. Elisabeth Kienle Smith of Macungie was no exception. She underwent a hip replacement because just standing up was painful. Within hours of her surgery, when she stood for the first time, she realized the pain was gone, and she returned home the following day, deciding not to even fill the prescription she received for pain medication. “After the operation, I had no pain whatsoever,” she says. “I felt like a new person.” She shares her story. Also hear from Jerry Gross, who says he's no longer limited by anything after shoulder replacement surgery. Learn more about how we care for your bones and joints.